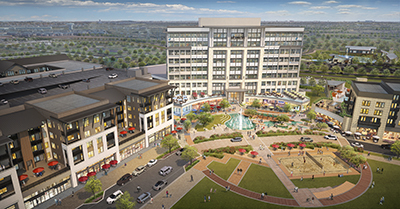 Mixed-use development featuring an inviting outdoor entertainment plaza with fountains, beautiful landscaping and stone elevation. Convenient pad sites, major anchors locations and retail space available with Hwy. 121 frontage. 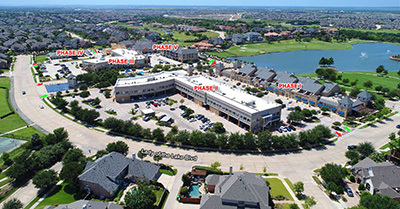 Crown Centre at Castle Hills is a 150-acre corporate campus located in the well-established Castle Hills community, at the interchange of State Highway 121/Sam Rayburn Tollway and State Highway 121 Business. 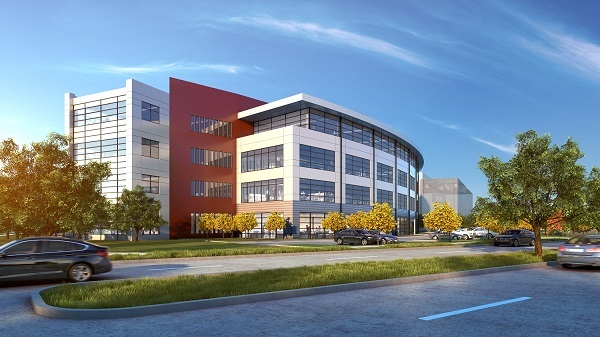 The development will bring more than three million square feet of Class A office and retail space to the area. With the infrastructure on the first phase of development now complete, Bright Realty is proceeding with plans for the first office building which is planned at four stories with a total of 105,000 rentable square feet. The office building plans include structured parking, outdoor seating areas with a lake and abundant green space.